Materialise has long been one of the leading 3D printing service providers in the world, serving both small businesses and individual customers with i.materialise and they serve larger companies with their Materialise OnSite services. The company is based in Belgium, but they have 3D printing facilities located all over the world, and offer their customers a huge range of more than 30 3D printing materials and dozens of finishes and colors to choose from. They have clients that come to them from a wide variety of industries, including healthcare, automotive, aerospace, art and design, and consumer goods. At this point, they are capable of producing rapid prototypes and end-use products, and they also offer a number of post-processing options. While Materialise has offered metal 3D printing services for decades, the Belgian company just opened up a new dedicated Metal 3D Printing Factory in Germany back in April. From their new facility they began offering several exclusive metal materials, including titanium and aluminum. This week Materialise announced that they were expanding their range of metal materials by adding 316L and 1.4404, or stainless steel, to their list of metal options for high capacity industrial manufacturing. This is just the latest new material available in one of the largest 3D printing materials portfolio available from one of Europe’s largest factories for 3D Printing. As with other 3D printing processes, metal 3D printing offers virtually unrestricted design options with little to no geometric limitations. It also allows for parts to be produced using less metal materials, so they can be lighter without sacrificing durability or strength. The new stainless steel material option is well-suited to several manufacturing sectors, including automotive, and aeronautics, which Materialise expects to be the primary customers to take advantage of their new service. 316L is a low-carbon alloy derivative of Stainless Steel that has corrosion-resistant properties and offers exceptional strength and durability. The material is an ideal option for applications that require strong final parts with a high rate of ductility and good thermal properties. However stainless steel also has several applications in machine-building and tool-making, not to mention food-safe products and medical instruments and implants. It can also be used to manufacture parts for durable prototypes, spare parts, ductwork, and production tools. With 25 years of experience and a global capacity of more than 130 3D printers, Materialise is one of the world’s largest and most comprehensive additive manufacturing service providers and has made significant contributions to the evolution of 3D printing and materials science. 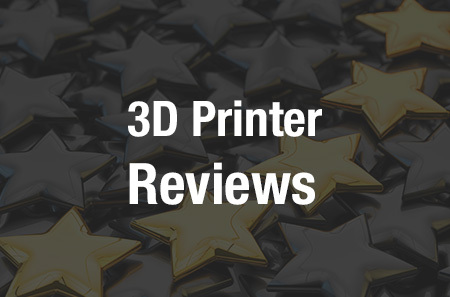 As one of the first companies to start offering metal 3D printing services on a large-scale, they have developed extensive expertise in the various processes. 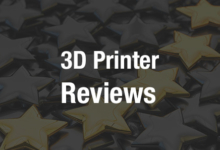 They have also developed several cutting-edge metal 3D printing software packages and Build Processors with leading metal OEMs. You can find out more about Materialise Manufacturing services, and all of their offered 3D printing processes and materials here. Discuss this latest news further in the Materialise Expands 3D Printing Metals forum over at 3DPB.com.